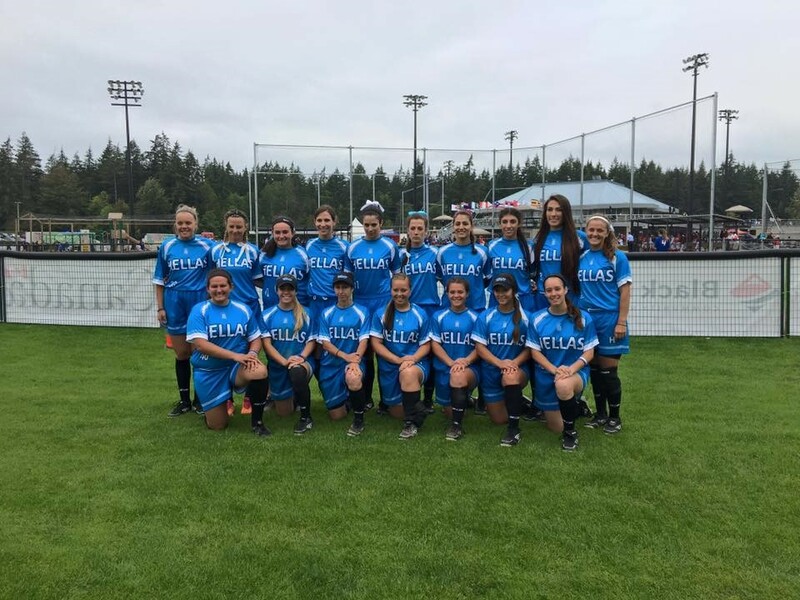 The Greek Women’s National Softball Team completed its 2016 season competing in the 15th Women’s World Championship in Surrey, B.C. Canada and finished 19th among 31 nations. This was Greece’s 2nd World Championship appearance after its participation in China in 2006. The team started off facing 2 of the strongest softball nations in the 1st round. On opening day they were defeated by Cuba 8-1 followed by a defeat against China 5-1. The team bounced back and won a very strong Guatemala team 2-0. The results of the 1st round of play placed Greece in the Round Robin Placement Bracket and would first face Austria. In a very close match, Austria came away with the win by a score of 5-4. Our next opponent was Serbia and with exceptional offense led by 2 doubles by Gialketsis and Chelsea Lisikatos & 1 by Donta, Panagiotou and Skarogianni Greece dominated Serbia 9-2. Pakistan our next opponent forfeited their game thus Greece won be default 7-0. This moved the team to the Placement Playoff Bracket first defeating Uganda shutting them out 4-0 and then Peru by the same score. We would then face Guatemala. It was a close game tied 1-1 for 4 innings when Demi Patonis singled scoring Donta from 3rd to put Greece ahead 2-1 which remained the final score. Greece had secured 19th place in the tournament & would face Austria once again for the 18th spot. The game was even and remained scoreless for 7 innings putting the game in extra innings where Austria would score the only run of the game in the 8th inning defeating Greece 1-0. With an overall record of 6 wins and 4 losses Greece remained 19th in the World and 6th in Europe.